My grandmother has a new "friend" at her retirement community. 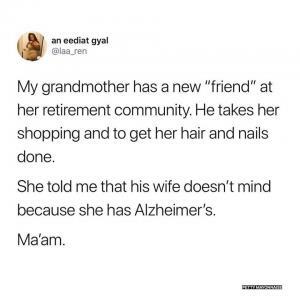 He takes her shopping and to get her hair and nails done. 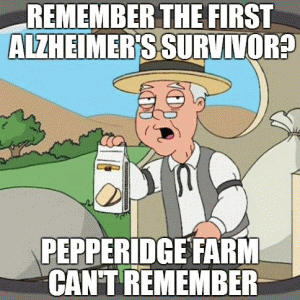 Remember the first Alzheimer's survivor? Q. 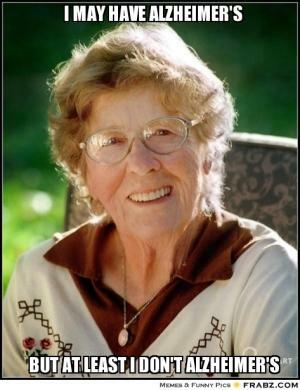 What happens when an Essex girl gets Alzheimers disease? 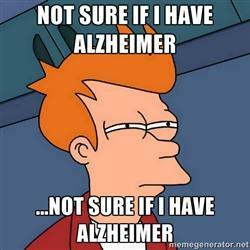 Q: What's the best thing about living with alzheimer's? 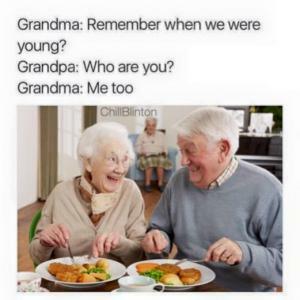 A: You get to meet new people everyday. i was unfaithful to you once. with some redhead. in the men's room of a pool hall in 1971. i was drunk. i just don't give a . The doctor tells him "I got bad news and some really bad news" so the old man replies "what's the bad news?" "The bad news is you have cancer." "Oh. And the other news?" 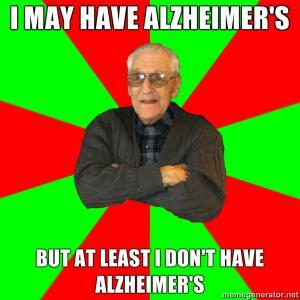 "You have Alzheimer's... "Then the old man says "At least I don't have cancer!" 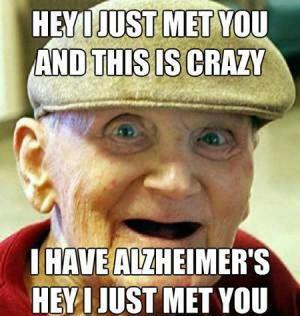 I may have Alzheimer's but at least I don't have Alzheimer's.